His first time in the public eye was on the day he was born - January 1, 1943. Born only one second into the New Year Bill Miller had his picture on the front page of the Plain Dealer and joined his now deceased sister to become the second and last child of the Miller household. It wasn't until years later (1966) that Bill Miller became Mr. Stress and The Mr. 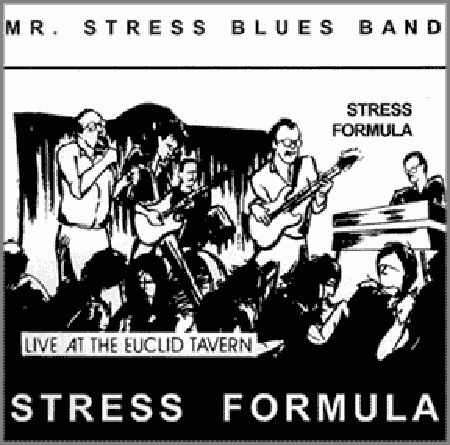 Stress Blues Band was born. Bill had an interesting, if not idyllic childhood. His parents divorced when Bill was only 2 years old. He spent part of his childhood at the Catholic Children's Home in Parma. "One saving thing about growing up when I did - there was no crack cocaine. Crack has changed the nature of the city and especially the inner city." Miller got his introduction to the blues by growing up in an integrated neighborhood (East 30th and Central) in the 50's, "In fact" he adds, "I integrated it". He could hear music on his neighbor's record players and sometimes late at night he could tune in a blues-playing radio station from the South, WLAC. He loved the early rock n' roll whether it was the white rock-a-billy music or the great sounds of Chuck Berry or Little Richard. He has always been into New Orleans Jazz ("you know, the kind Woody Allen tries to play?") and has an extensive collection. "New Orleans Jazz musicians play a lot of 12 bar blues - so I really got to know it well." Stress is quick to point out that the Blues is not sad music - there is a lot of aggression and anger in the Blues. Muddy Waters sang a song called "Mannish Boy" in which he spells out "I am a M-A-N not a B-O-Y". It is the story of the civil rights movement long before it caught on politically. 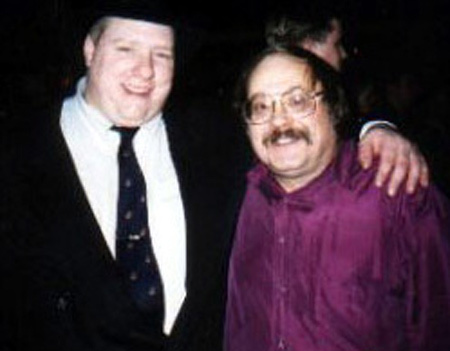 There was a major blues revival in the 60's brought about by his mentor, Paul Butterfield. This opened some doors for Miller, since all of a sudden bars where willing to consider hiring Blue Bands again. He had a bit of an advantage over everyone else because he already had insight into the blues. The first band he was in was in 1965 and included him, a pianist, a drummer and a guitarist and they called themselves The River Rats. They played Dixieland jazz at Fagan's. They were the first band ever hired to play in the Flats. "Maybe I was lazy or stupid, but I just kept doing what I was doing". The rest of the River Rats have moved on to other professions and other lives, but the blues is in his soul and it can't be excised easily. In the "old days" there was a small pool of Blues musicians to choose from. Miller is referring to the musicians with the talent as well as the knowledge of the history of the Blues. "Now there's a lot of freelance musicians and blues bands popping up everywhere, but honestly, I still think there are only a few with the knowledge of the history that you need to really play the blues." Miller says that when he was coming up the "Giants Still Walked The Earth" - people like Muddy Waters and Howlin' Wolf. He fears that the young people today think that the blues began with Stevie Ray Vaughn. "Don't get me wrong, he was a fine musician and I liked and admired him. And he died way too young. But you have to go back a lot farther than that to really know the blues"
Miller never set out to be the boss or the head of the band, but as one musician or another would leave it became up to him, almost by default, to keep the band going. As such, he became and stayed Mr. 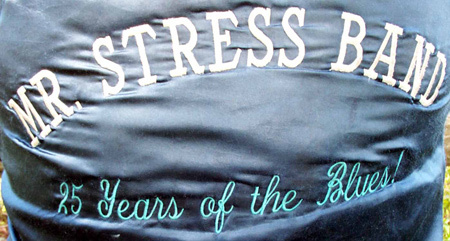 Stress even now, thirty-seven years later. He never wanted to keep changing band names trying to find "just the right name that was going to make us popular". As one bar owner told him "I can book a band with four guys in it this week and book another band next week with the same four guys". That's not what Miller wanted. So Mr. Stress provided the continuity he feels is so important. "We live in a gimmick society these days. If I can wear funny clothes, have a strange name or shout obscenities maybe I can be famous. What ever happened to the days of hard work and perseverance?" He also never expected to be a harmonica player. His father played a gypsy style violin in his own 6-piece band and tried to get Bill to follow suit. But the violin was not for him even though that style of music had a similar haunting strain to it. It was 1962 when Miller walked down Prospect Avenue and spotted the Jack Epstein Music Store. He walked in a frustrated clarinet player and walked out with his first harmonica. 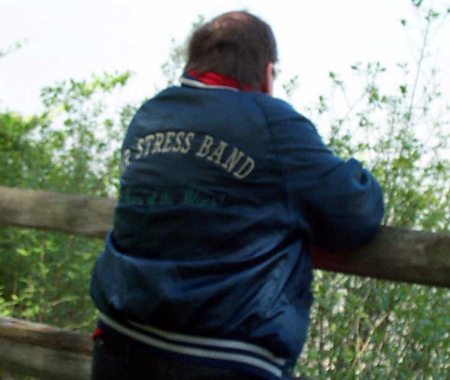 The first Stress Band was formed in 1966 and by 1968 they were traveling to Detroit. The band opened for Cream, Steppenwolf and 3 Dog Night. Then a big disappointment came when he had a verbal commitment to open for The Doors in Cleveland, Cincinnati and Detroit. Unfortunately, Jim Morrison was arrested in Miami for lewd behavior on stage. Cleveland and Cincinnati cancelled their concerts and the promoter no longer needed the Mr. 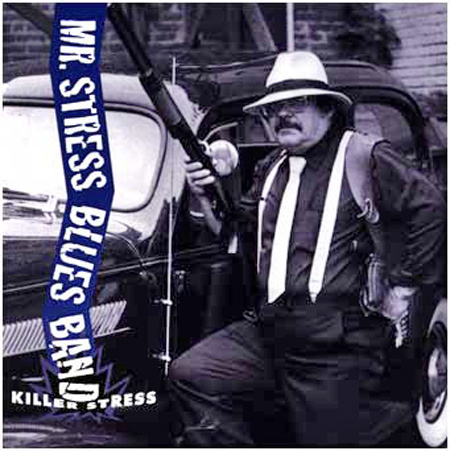 Stress Blues Band. Stress was offered a recording contract with Capital Records in 1969, but did not accept it. Most record label sin the 60's considered The Blues to be "NCP" or "No Commercial Potential"
Things seem to be changing in the music industry. His friend and fellow musician Alan Green notes that people aren't as attentive to the music itself anymore, and Stress agrees. He feels they are becoming background music and as a result the audience doesn't really feel the heart and soul that is put into good Blues music. "There's no future for a blues band - but keep in mind I said that twenty years ago too." Miller married his first wife in 1970 and this marriage lasted through "10 years of mayhem". He readily admits that the downfall of this marriage was his fault, specifically his inability to grow up. He is grateful that his wife chose to divorce him, rather than what he calls the more obvious choice of killing him. By this time Mr. 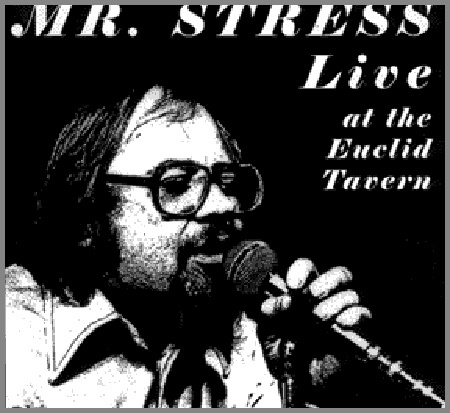 Stress was playing The Euclid Tavern, a slightly seedy bar at 116th and Euclid Avenue - favorite haunt of many CWRU students. The audience also contained a lot of musicians - young people with an interest in the blues and older musicians with a night off looking for a good sound. The era was ripe for a group like this, and The Euclid Tavern was the perfect spot. In addition to the music it offered "a little of everything. Some illegal. Some things people would call immoral - but it was the tail end of the 60's and hey - things were different!" He was doing pretty well financially at the time, but always believed in living "cheaply". He was living at 33rd and Superior when he met a new woman. They got together in 1982 and got married in 1991. This marriage lasted until 1997 and Bill is still affected by its break up. He and his wife had partied pretty hard together until Stress finally decided he needed to quit drinking. After awhile he told his wife she needed to sober up as well. She took his advice and went to AA. Unfortunately she met a man in AA and the end of their marriage followed soon after. In 1994, at age 51 Bill suffered a heart attack, ironically just a few weeks after the release of his third album, Killer Stress. In the 70's and 80's there was only himself, Robert Jr. Lockwood and Mary Martin performing quality blues. Now there are over 20 bands playing and Miller believes "they have the talent, at least some of them. But they won't spend the time rehearsing and sounding like they're together. So many are just pickup bands - they may have never played together before. Like the old Dizzy Gillespie joke where he says it's time to introduce the band and then introduces the drummer to the guitarist and so on. It's just generic blues not anything special"
He's never written songs - when he solos he considers himself "creating" - he is "an interpreter of other people's stuff". A self-proclaimed cynic he scoffs at the record companies looking for original music. "It's not creativity they want - it's cash. If you write the song they don't have to pay a royalty to someone else and they get a little piece of that song's future." Miller has always been careful about the songs he chooses. For example, you will never hear him sing a song about picking cotton. "The closest I've ever come to picking cotton is taking the cotton out of the aspirin bottle", But, he feels there are some basic situations and emotions that everyone experiences at some time. Whether it is the relationship between a man and a woman or worries about the family or finances, everyone has them at some time. Quoting the music of Albert King in "That's What the Blues Is" Miller says: "I see a man comin' with his tools, Says he's gonna shut off the water. Got the gas yesterday, Coming right back for the lights tomorrow"
Miller has felt these things and thinks most people have too. So people relate and they usually respond well to knowing that someone else feels the same desperation they do. Miller's heart attack was not the last of his physical problems. He is now suffering from macular degeneration, a disease that has made him legally blind. He knows the disease gets progressively worse and he struggles with the loss of his sight and the independence that goes with it. He is currently struggling to assemble a computer, which is very frustrating because of the problems with his eyes. Neither he nor the Doctors know what caused his eye problems. "I'm a second generation pot head - I've smoked a lot of marijuana in my time - maybe that's the problem"
Another great frustration caused by his limited sight is that he can no longer read - and reading was a passion for him. He has read nearly every written word on the history of the 20th century. 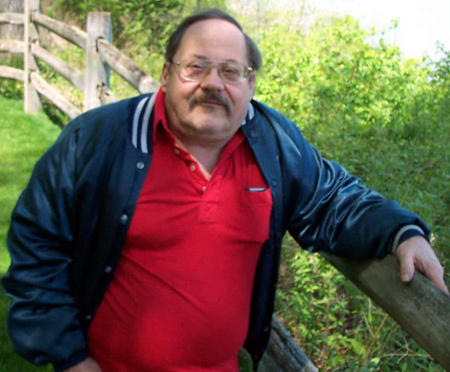 He is a student of military history and an expert on the American Civil War. As a child his radio was always on, and he remembers hearing in 1949 that Chang Ki Chek had been run out of China and he heard news of the Korean War on his radio. Even at that young age he was captivated by this sort of information. He started reading at age 7 and was reading 7th grade history book since 2nd grade. He is also passionate about Film Noir and Crime Novels. He attended Benedictine High School, but didn't finish. He went back and got his G.E.D. at age 19 and since then has taken college level courses in computers and electronics. He loves to fish, but hasn't had many opportunities lately and is captivated with hockey. As a child he would go with his friends from the projects to the Cleveland Arena on 37th Street. Some of the ushers would look the other way and let them go in as long as they didn't cause any problems. Miller has been a car mechanic, a TV repairman, a security guard among his many other professions, but only music really matters to him. Bill has one daughter from a relationship that did not lead to marriage. He knew that there was a child because that was ultimately what split him up from the child's mother - Bill wanted to get married and she didn't. In retrospect Bill believes the woman was right, they had only known each other a few months and his daughter was adopted by a wonderful couple that gave her a good life. In 1994 at age 27 his daughter found him and they stay in contact day. She also has provided him with 2 grandchildren. "I am saddened by the fact that I am not a deeply spiritual person. Cynicism is almost a religion for me." He tries to live a good life partially because he just knows that's the right thing to do and partially because he is convinced that a lot of the people in this world are nuts and he has no desire to aggravate them. He was named one of Cleveland Magazine's Most Interesting People in 1983. "Off-the-wall, colorful or even odd - maybe. But interesting - I don't think so." He is at the same time a very serious man and a very humorous one. Now that he's getting a little older he's thinking of adding a few parodies like "I Get By With A Little Help From Depends" and "Mrs. Brown You've Got A Lovely Walker". He's been told he talks like an old-time movie, or like Robert Blake in Baretta - and he does. Then there's the issue of him being a white man singing what had been predominately a black man's style of music. "The biggest enemy of the white musician is the white media music critics. Did anyone tell Charlie Pride he couldn't sing country because he was black or Leontyne Price that black woman can't sing opera? That's racist." He remembers playing a club called Jiffy's at 71st and Lexington. "It didn't matter whether what color you were - just whether or not you could play. If you could play you were accepted by everyone." He goes on to wonder how a white music critic can judge good blues if white people aren't supposed to know anything about that style of music. Growing up, Bill often talked to his aunts and uncles about growing up in the depression and what it was like. He found one of the big differences was that during the Depression there was no shame in accepting help from family or friends. People would pool their assets together and help in any way they could - and then return the favor. Now, he feels, everything is more secret and nobody wants anyone to know if they need something, and therefore, there is not as much camaraderie as there was at that time. He stayed in Cleveland even though he may have gone further with his music if he had moved to Chicago, but he liked it here and he says, "I'm not a very bold person. I like to be where I know people". But he does think Cleveland music is missing the management people that can take you from a good local band to a good regional band and finally to a good national band. When he thinks of growing up in Cleveland he remembers things like the livery stables on Woodland, St. Joseph's Church on 23rd. And these things make him smile. He's not sure what the future holds for him, but he'd like to be around when the find the cure for macular degeneration and maybe out together a new band "like the old one - with a lot of practice and commitment." "But", he adds "life is not a baseball game. You're not guaranteed 27 at bats. The clock is running and when it runs out - it runs out." With this in mind, he tries to pack whatever he can into the time he's got. He has brought joy to many people with his music and we can't wait to see what he has in store for us in the years to come.